I'm 34. Married for 11 years. I have 3 children. 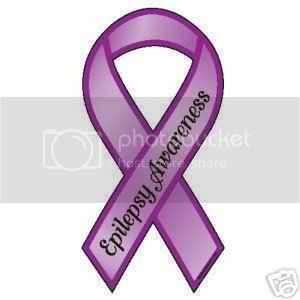 I've also had Epilepsy since I was about a year or so old. I'm a very nice person but, very darksided also. 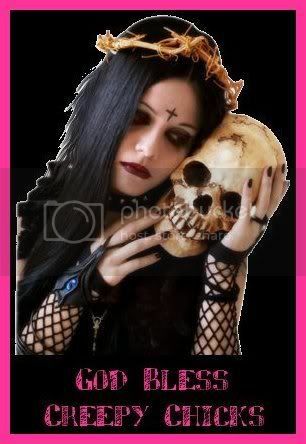 I live for Horror, Dead things, etc... LOL! I'm very interested in creating my own graphics. Check me out on MYSPACE!!! Oh, 1 more thing... I pronounce my name MAR-SEE-YA... NOT Marsha!!!!!!!! Special thanks to NITA (a.k.a. GROOVYSMURF)for her guidance on helping me make my very own family label! Login or register to add Marcia as your friend! i love this can i please ask you to make me two of them one with april on it and the other with jeanie on it??? thank you!!! !